Your baby girl is a bit unpredictable, to say the least. One minute she's sleeping, the next minute she's wailing, and the next minute she's an angel, cooing and melting your heart. 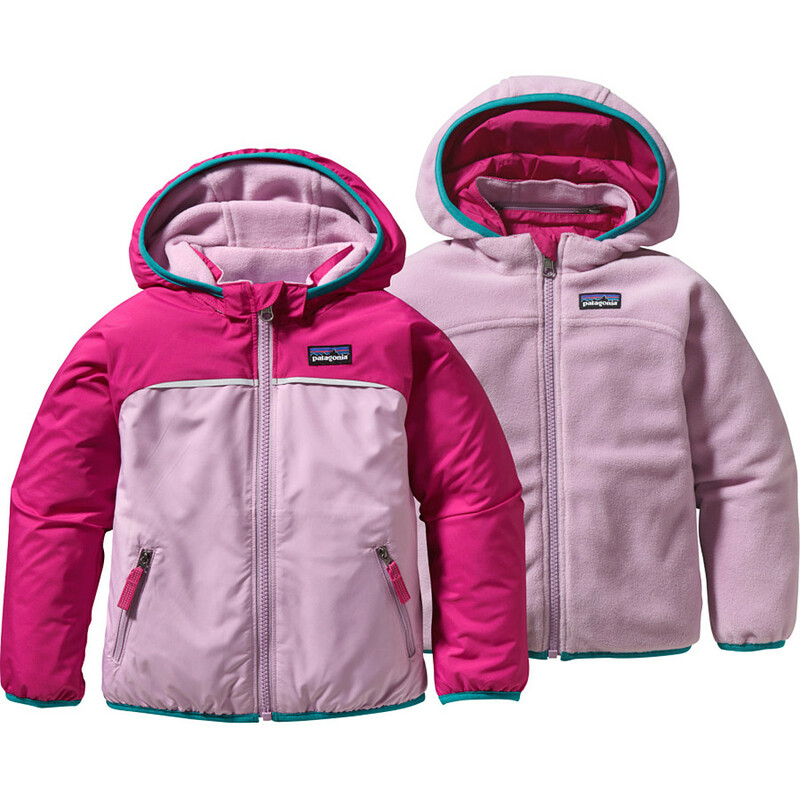 When the weather changes faster than her moods, make sure you have the Patagonia Infant Girls' Reversible Zip Along Jacket stowed in the stroller. 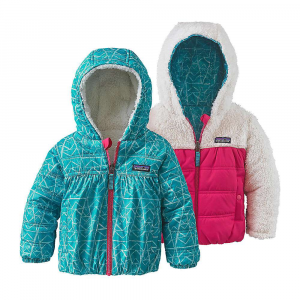 With one jacket, you're now ready for a surprise sprinkle, a wily wind, or a fast-moving cold front. 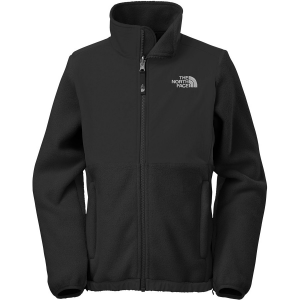 One side of this sweet jacket is DWR-treated polyester plain weave for a water-resistant, smooth-faced look. 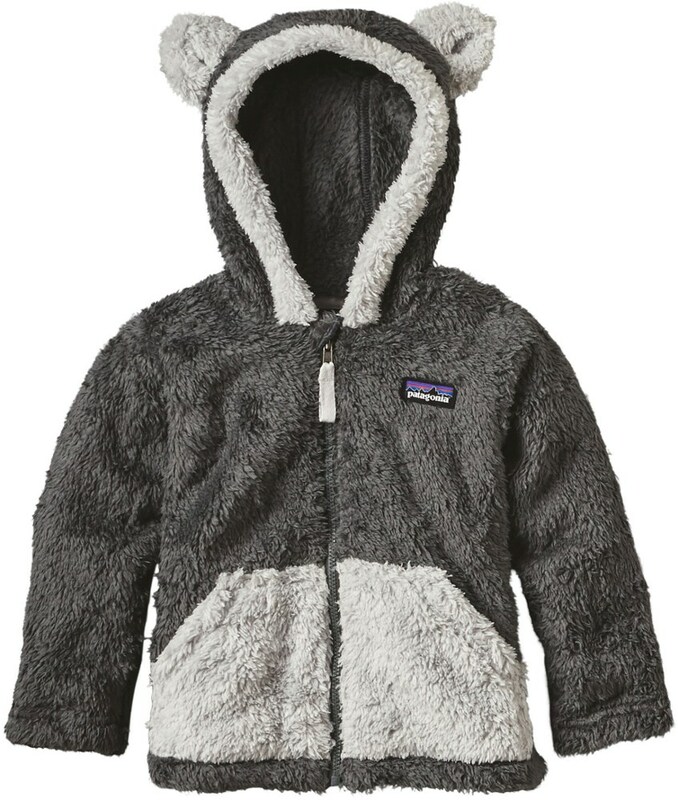 On the other side you'll find sweetly soft polyester fleece. Regardless of what side she's showing, you can zip this jacket all the way up without worrying the zipper will chafe her chin. The three-piece hood fits comfortably, and a touch of spandex keeps it snug (but not tight) against her chubby, pink cheeks. 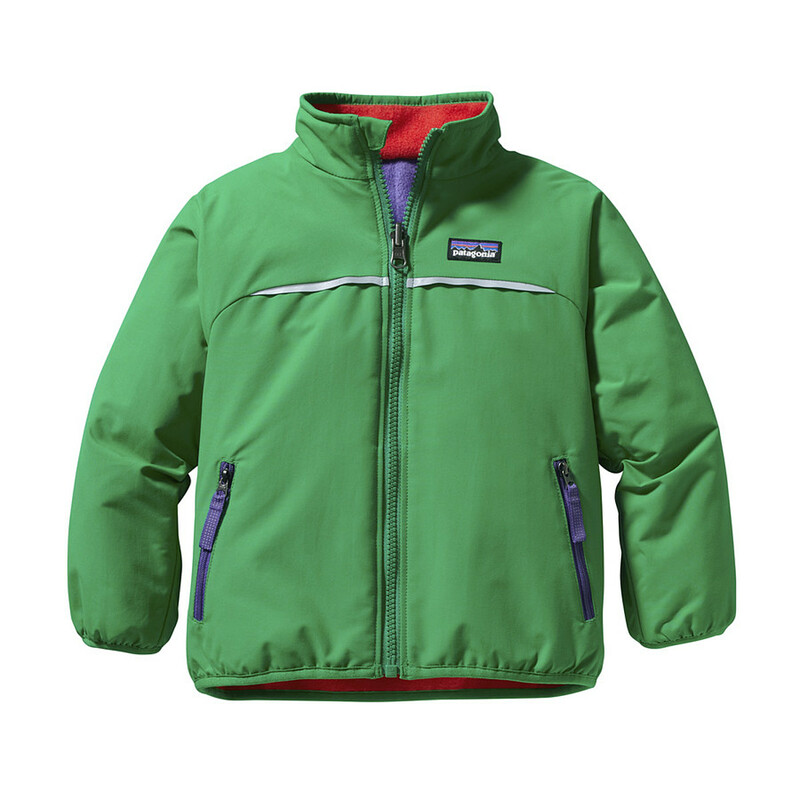 As the squall moves in, put this jacket into reverse so baby can keep moving forward. The shell side is made of 100% polyester plain weave treated with a (durable water repellent) finish to keep moisture at bay. 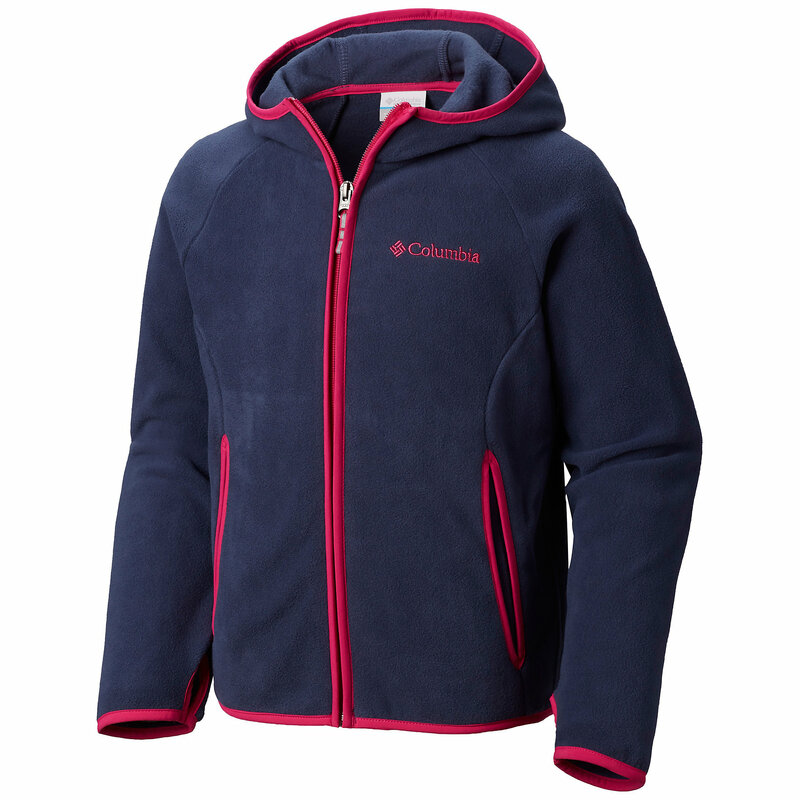 The 4.6-oz 100% microdenier polyester fleece (87% recycled) side provides soft comfort over baselayers or up against the skin. Technical benefits include zip-through collar with zipper garage to prevent chin chafe, zip-off three-panel hood with spandex binding to hug the face and high visibility reflective trim on shell side. Pockets: two zippered handwarmers on shell side; two side-seam handwarmers on fleece side. 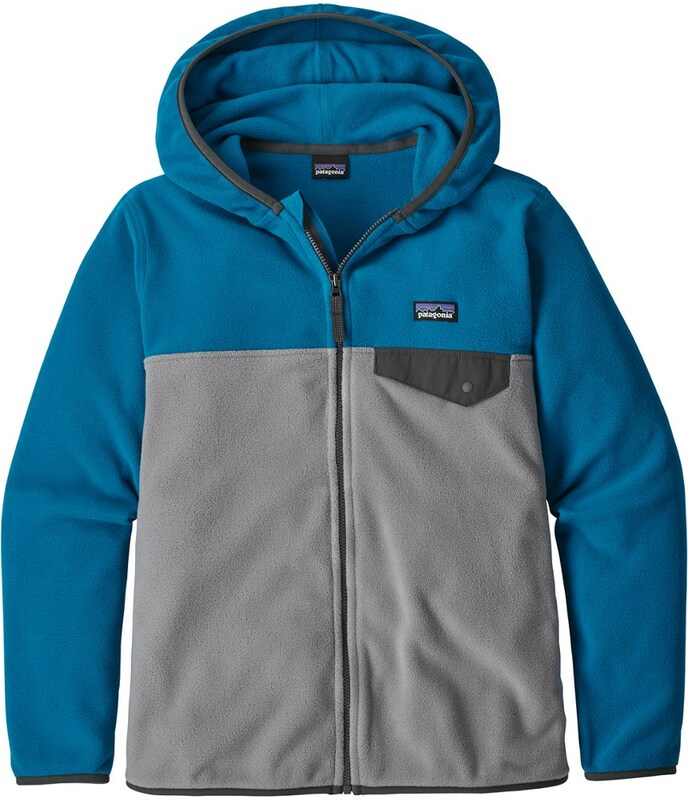 The Patagonia Reversible Zip Along Jacket is not available from the stores we monitor. It was last seen January 9, 2018	at Backcountry.com.